If you’ve followed the journey of Honeybee Patisserie, you’ll know that Anna is a strong, independent business owner with laser-sharp focus and drive. We’re so lucky that she took the time to chat with us a little about her business and how she stays focused. Check it out! Tell us a little bit about yourself and your business! How did you start? What inspired you to start? I started without any real knowledge or experience with regards to opening a business. I didn’t have anybody to turn to, aside from my sous chef at the time, who gave me a few tips for running a kitchen. One of them being, KISS: Keep It Simple, Stupid. Try not to overcomplicate things because sometimes simplicity is what people want and at the same time, it helps keep you sane. I had so many different things that I wanted to do, so many desserts I wanted to make. That motto really helped keep me in place and guide me into creating what became a profile for our business. Through all the projects and ideas I had, I found that what I really wanted to do was to bring everything that amazed me about French-style desserts to the neighborhood I grew up in. We no longer operate on a daily basis to provide walk-ins for French style desserts. 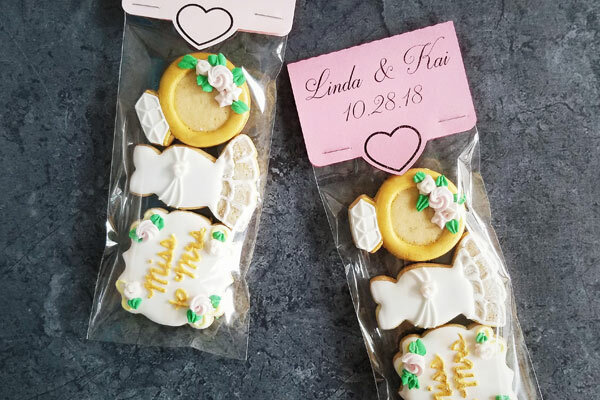 We recently switched gears to focus on online orders and I introduced a new menu item focusing on custom sugar cookies. 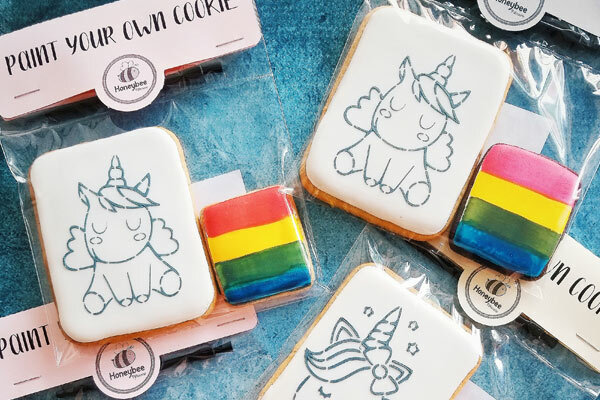 I saw all the work from my fellow cookie artists and was in awe of their techniques and style. They inspired me and gave me the desire to express my own art through a new medium. For our own curiosity, and our fellow small business owners – what are some challenges and unexpected benefits you’ve found? Life! Life events were definitely the biggest challenge for me when starting out. Definitely learning to adapt to the changes in my life. I became pregnant two years into operating and had to make the difficult decision of putting it on pause because I had to change priorities. I slowly resumed after nearly one year with my baby. What started out as a challenge for me became a benefit. I found that I got to set my own family time vs. business time. In order to have both, I compromised and began to accept custom orders rather than run a daily operation like I used to – I would have had to be in the shop for much longer hours. Luckily our customer base understood and was very supportive. This is another huge benefit to owning a business. With a heart full of creative ideas, Anna stays motivated by surrounding herself with fellow artists, supportive customers, and family. She maintains singular, simple priorities – family, and delicious bakes. A true entrepreneur and lover of great quality (and price! ), Anna turns to Paper Mart for her packaging needs. Check out a few of her essential bakery supplies here! Paper Mart has been my go-to shop for a lot of our packaging! It’s great that your ribbon is so affordable and it comes in large rolls so that I never have multiple reels to sort through. They really help dress up our boxes with a pop of color – as we normally use kraft. Aside from your ribbons, cello bags are the biggest necessity for our business. 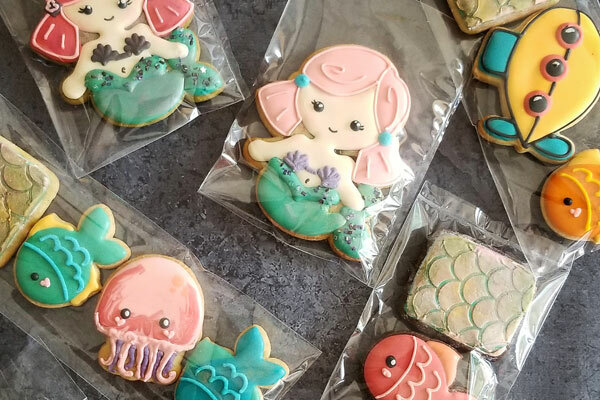 I use them for all types of cookies, from drop cookies to sugar cookies, to keep them fresh. Finding boxes to fit your cakes can sometimes be such a finicky thing. Luckily, I’m able to use the packaging Kraft boxes to provide both space and strength to hold some of my taller cakes that normally would not fit in standard bakery boxes. The clear PET ones also help make our smaller layered cakes look really fancy especially when the gold base is added on. Other items such as the cupcake wrappers and Kraft paper shred has also come into use for our business. I love how durable the wrappers are. The paper shred has been useful for cushioning our cookies in larger format bakery boxes and at the same time making it look more presentable. While we stock a wide variety of bakery essentials, we had to know – what was Anna’s favorite Paper Mart item? Cello bags! It’s the most used item for our business and there are so many different sizes. On a side note, I’m so glad that there was a bee design to match our business name! Satin ribbons are my next favorite item because they’re just so beautiful and help make any packaged product look better. Not to mention they make it easy to tie bows without any creasing or fraying. These delicious images are courtesy of Honeybee Patisserie. 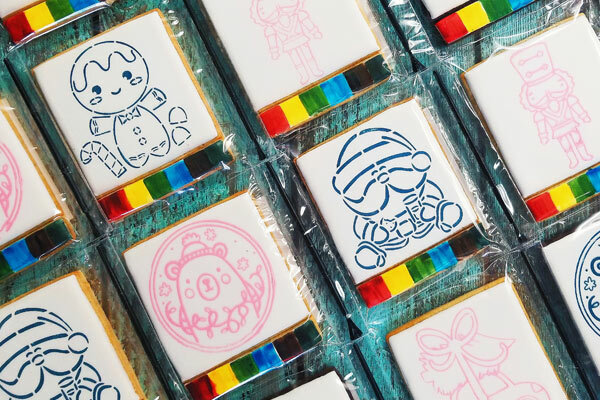 If you want more delicious cookies and cakes on your feed, follow them on social media (Instagram, Facebook)! We love seeing these beautiful French-inspired bakes and know you will too. For more features, packaging tips and tricks, and DIYs – subscribe to our email list here. You’ll be the first to know about any new blog posts, seasonal promotions, and sales.